One of my most anticipated demos this year was my very first foray into Oculus Rift, a first-person exploration game called Pollen. 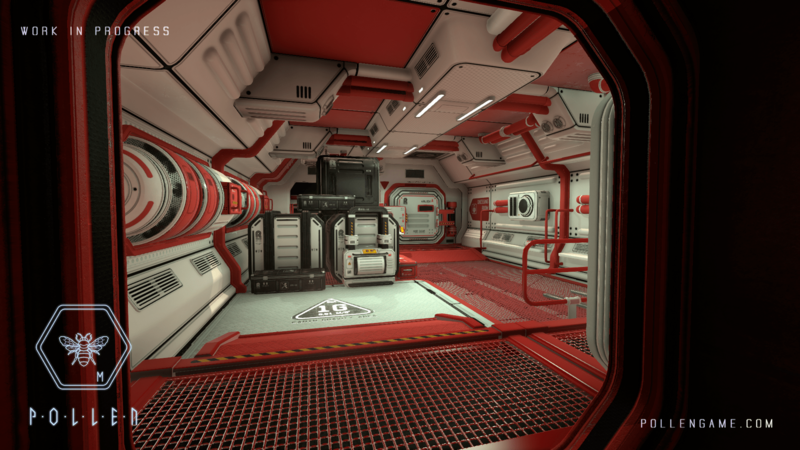 Developed by Finnish team team Mindfield Games, it is set on a space station on Titan. 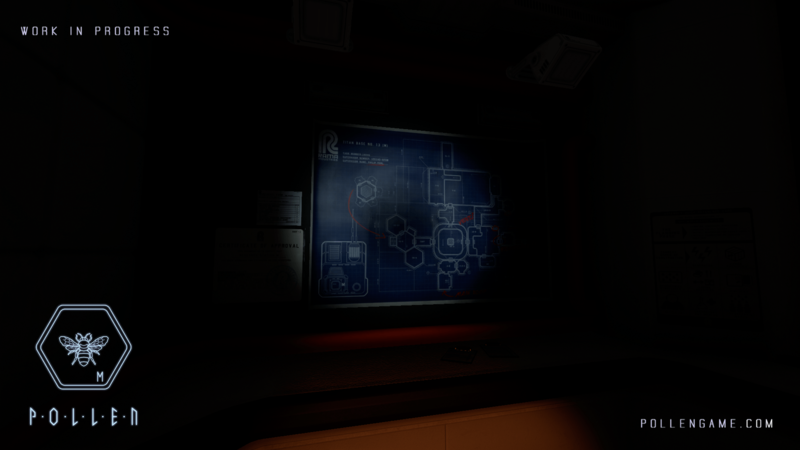 An incident has occurred and the Rama Industries who manage the station are looking for a new employee. That employee is you, and it is up to you to investigate what has happened. But that’s all story setting, not something I actually experienced in the demo. The demo itself was a revelation. Keep in mind I have never before experienced Oculus Rift, so everything was new to me. The dev team asked if I had played before, warning me that first timers would often experience discomfort, dizziness and nausea. So I put on my goggles, strapped them on and got ready. Though I did briefly encounter a bout of dizziness, it quickly abated, and I soon found myself completely immersed in the VR world of Pollen. The controls in the game were pretty simple and easy to pick up. You can move around, pick up and throw away items, and even rotate them around. That’s it, and that’s really all you need. I can’t imagine a more complex control setup that would work for Oculus Rift, since if you don’t have the controller layout memorized, you can’t look down for guidance. The demo mostly consisted of moving around, checking out objects and playing around in my environment. Case in point, there was a gym on the station, and I was able to take free throws with a basketball. Another cool, and mesmerizing, detour was a virtual video game I could play, which consisted of moving around a spiral and avoiding dangerous areas. Perhaps one of the most incredible aspects of the controls was how the headset was integrated. When you turn your head, the camera shifts with you. Furthermore, by leaning forward, the camera will zoom in on whatever is in front of you. This made the sense of immersion in the virtual world astounding. Like any good sci fi nerd, I’ve always been interested in the possibility of functional virtual reality, and I can say that Oculus looks to deliver. 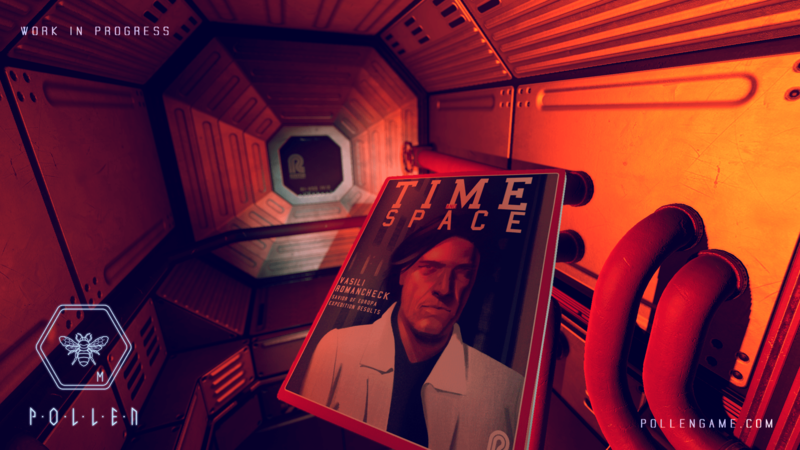 But if you’re not a fan, or don’t want to put in the money, you will be able to play Pollen without Oculus tech as well. Just keep in mind the computer specifications are tuned to Oculus standards. For those who are interested, Pollen will release for PS4 and Steam in early 2016. To get a feel for what it’s about, check out the following.